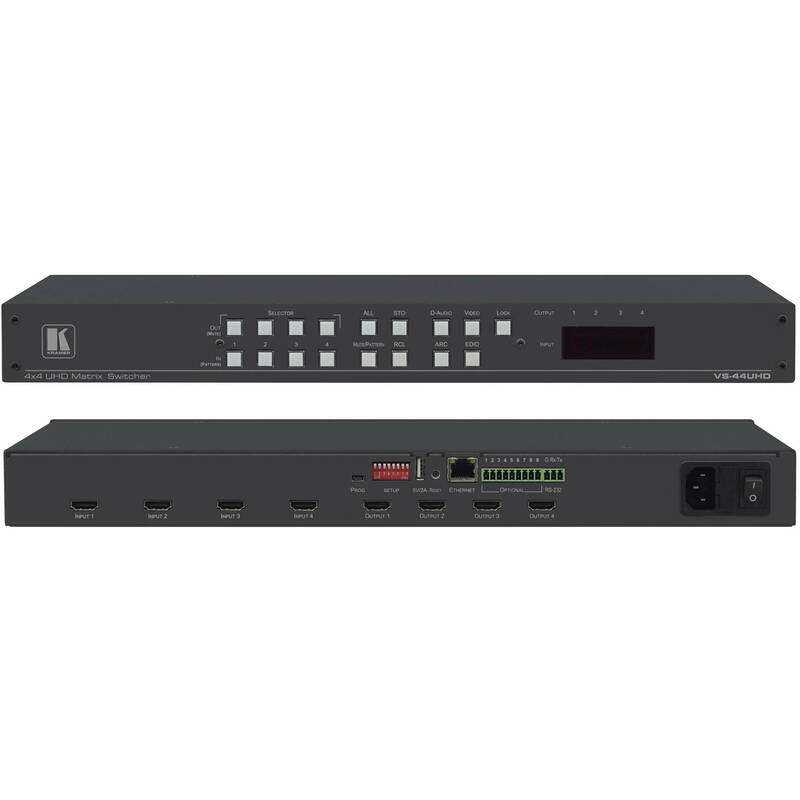 Route any of four HDMI inputs to up to four outputs with the VS-44UHD 4x4 4K60 4:2:0 HDMI Matrix Switcher from Kramer. To maintain signal integrity, the VS-44UHD re-clocks and equalizes the signals before distributing them to the output or outputs of your choice. A flexible audio scheme enables any HDMI digital audio input to be routed to any HDMI digital audio output. Additionally, the switcher supports ARC on all ports to deliver the convenience of an 8x8 audio matrix. Weight 4.1 lb / 1.9 kg, approx. Box Dimensions (LxWxH) 21.6 x 11.0 x 4.2"